Invisalign vs Braces – Which One is Best? If you are seeking treatment to align your teeth and get the perfect smile you’ve been dreaming about, you must almost certainly have heard about the Invisalign vs braces debate. The discussion has been raging on ever since the introduction of Invisalign in 1998. The internet is full of comparison photos, demonstrating the (commercial rather than medical) truth of Invisalign’s modernity and aesthetic superiority over the traditional geek metal braces. But how much of that is fact and how much is just a distortion of truth for commercial purposes? Questions concerning prices, treatment time, and effectiveness are widespread and yet few people seem to have a clear idea of what each option would actually entail. Thus, we will move on directly to explaining what each of them is and then we will compare them. Hopefully, by the end, you will be able to make a more informed decision about the nature of your orthodontic treatment and decide what the best solution for straightening your teeth is. The purpose of both treatment methods is the same: to treat orthodontic conditions, straighten your teeth and give you back your healthy smile. While they both have the same purpose, they are in truth not only different in how they make you look, but also in their actual functionality. At a first glance, one would seem to have a clear advantage over the other. However, in reality, it all depends on the patient’s dental condition, lifestyle, habits and, yes, self-discipline. Let’s first take a look at each treatment option in turn and then we’ll be better able to compare the two, see what each one does, and set them against what different patients need in different real life situations. Braces have been around for quite a long time. In fact, there is evidence that they were used as far back as Ancient Greece. 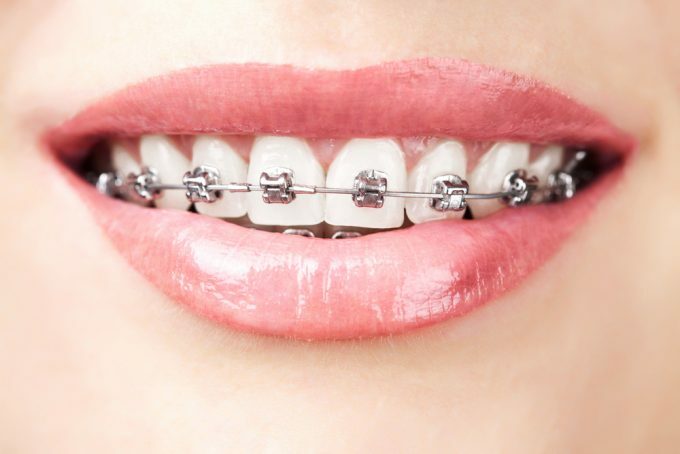 Modern braces are basically comprised of metal brackets, secured with wires and glued to your teeth. The resulting pressure will in time straighten your teeth, and your dentist will calculate what adjustments to make in order to get the desired effect. Though regular braces are traditionally made from conspicuous smile-compromising metal, newer versions use enamel color and ceramic, thus becoming less obvious. Braces also come in the lingual version. Lingual braces are fixed on the back of your teeth, facing the tongue and are practically invisible. By contrast, Invisalign is technically invisible and consists of aligner trays which fit over your teeth. Invisalign is made from BPA (bisphenol)-free plastic and is designed to move your teeth in the correct position. The aligner trays are made after your dentist has taken a perfect image of your teeth by using X-rays and pictures so that they can be properly adjusted. In order to understand which option would better suit your needs, we must take a look at some key factors which we all take into consideration before we choose a treatment method. In order to avoid first choosing a treatment and then considering all the factors, as some people do, it’s very important for patients to consider their options, need and alternatives very carefully. More than often, the main criterion for choosing an orthodontic treatment is how it influences your looks. For some people in some situations, this is a key aspect of their lives and there in no blame in taking it so seriously. However, before choosing the wrong type of treatment and then switching to another, it is absolutely essential that future patients make a fully informed and rational decision, based not just on what they believe is important but also on all those aspects they might easily overlook. Nobody denies that looks are important. Be that as it may, before making a decision based solely on this factor, pause and consider if your decision will not in truth prolong the amount of time (and money) you spend with your orthodontic treatment. You might be doing more damage than good to your looks and finances in the long run. Just how much impact dental treatment will have on your lifestyle is something you should think about very seriously. Both options have pros and cons, and you must first decide which of the cons you’ll be able to tolerate. Braces are well known for being unaesthetic and somewhat uncomfortable to wear. Even though both issues have been consistently addressed by modern variants and all kinds of new materials, tricks and techniques to make them more bearable, there is no denying that wearing braces is a rather annoying experience. If you opt for lingual braces, as described above, your problems will not be over as it will take you a long time to get used to not incessantly try to get them off with your tongue. Frontal enamel braces do not raise this problem, however, and they are also less conspicuous than standard metal ones. You must brush wires and brackets on a regular basis. However, after brushing, no further action is required. A visit to the doctor should take place about once a month. Most importantly, braces cannot come off and cannot be removed except by a dentist. There is consequently no room for cheating or leaving them at home every time you go out. By constantly putting pressure on your teeth, the efficiency of the treatment is not compromised. Invisalign, by contrast, can be taken off. And it must be removed before eating or drinking something different than water in order to avoid staining and damage to the material (which would render it ineffective). In addition, Invisalign requires a strict cleaning procedure which must take place daily. The removal of Invisalign during eating and drinking could seem convenient at a first glance. You will have no more worries about food getting stuck between wires and brackets, as it often happens with braces. And yet, before putting Invisalign back on you must brush your teeth thoroughly. The logistical complication of adding an entire routine for each meal becomes obvious, especially if you eat out a lot. Though certainly not impossible and perhaps, in some situations, a preferable alternative to braces, there is some subtle psychology that comes into play which can ruin the effectiveness of your treatment. The obligation to remove Invisalign when eating will serve as an incentive to leave your Invisalign at home. “Just this once” you’ll say. Until you realize you haven’t been wearing it regularly and that results are below expectations. You should keep the trays on as long as possible, but there is a chance that your lifestyle will intervene at some point. Serious personal discipline is required to ensure that your treatment is effective. Invisalign may be more suitable, however, for athletes and people who are into contact or extreme sports. There is a much higher chance of serious damage resulting from a hit while wearing braces. Invisalign is much more tolerant with sports like boxing or rugby and it also gives an athlete more freedom to practice a sport naturally. All in all, your lifestyle, job, personal discipline and willingness to follow a strict daily routine are very important elements to think about before taking sides in Invisalign vs braces. Let’s assume that you’ll wear your Invisalign as diligently as humanly possible. Even so, its efficiency is directly linked to the precise nature of your orthodontic condition. You can treat dental issues with medium or low complexity successfully with Invisalign. No great force is required to push your teeth into their correct position. On the other hand, dentists have indicated that braces are more suitable for treating medium-complexity and severe dental issues, as they have the potential to exert more strength on the teeth and because they work around the clock. 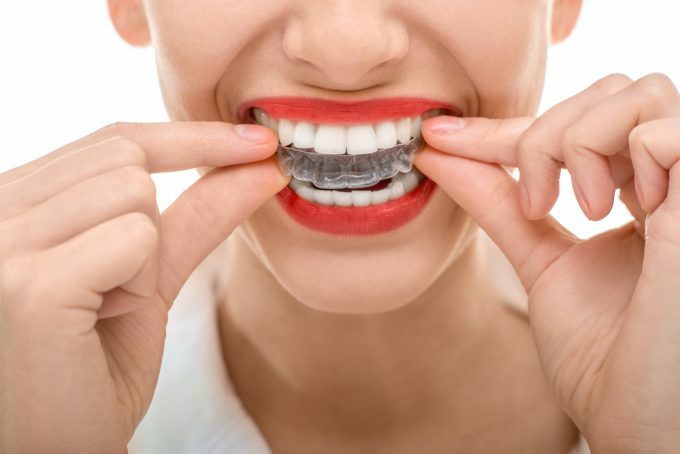 In addition, braces are also engineered in more ways than Invisalign and are efficient in cases such as back tooth bite, misaligned canines or premolars, and vertical movement of teeth. Braces also have the capacity to work faster and remove gaps between teeth due to the greater forces exerted on the teeth. Both treatments are effective in different situations, but in the end, it’s really up your dentist to decide which option would best suit your needs. When it comes to cost, it’s very difficult to say who wins the Invisalign vs braces debate. Invisalign can add up to be more expensive than braces because you must replace it more often. Braces can be more expensive than Invisalign if you choose the very best tooth-colored option made from some sci-fi alloy. Also, costs are relative to an individual’s willingness to pay a certain sum, so it’s rather difficult to state which option would definitely be the cheapest. Again, the best option would perhaps be to decide which of the two would best suit you medically and then try to find a budget option. If you put money before medical reason the results can and will disappoint. A major concern for all orthodontic treatments is the impact it will have on one’s aspect, especially his/her smile. For teenagers, Invisalign would generally seem the better option for obvious reasons, with the braces-wearing geek already enshrined in the pantheon of social stereotypes. If a teenager’s dental condition and lifestyle allow it, perhaps Invisalign would be a better solution. However, braces too can now offer solutions for this problem, with enamel-colored materials and lingual braces doing much to diminish the negative impact on one’s looks. 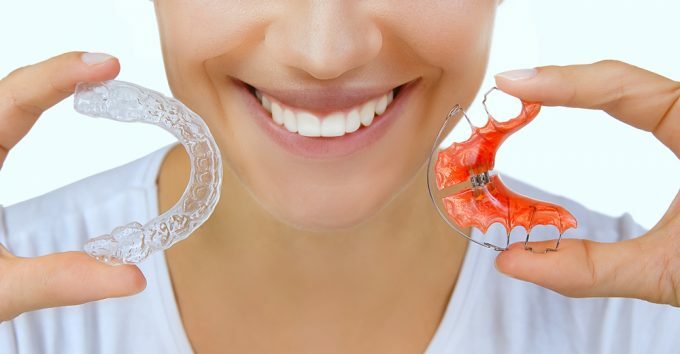 To conclude, comparing braces and Invisalign as a solution for the same problem is not a constructive approach and there is no way to decide which one is the best. They are different solutions for different situations. In order to properly determine on which side of the Invisalign vs braces debate you will be, you must first be fully honest with yourself and, together with your dentist, decide which solution would best suit your particular needs.